Looking through some slides, I found a nice photo of Lystra. In this photo from 1987 you will see that farmers have plowed the slopping side of the tell as far as practical. 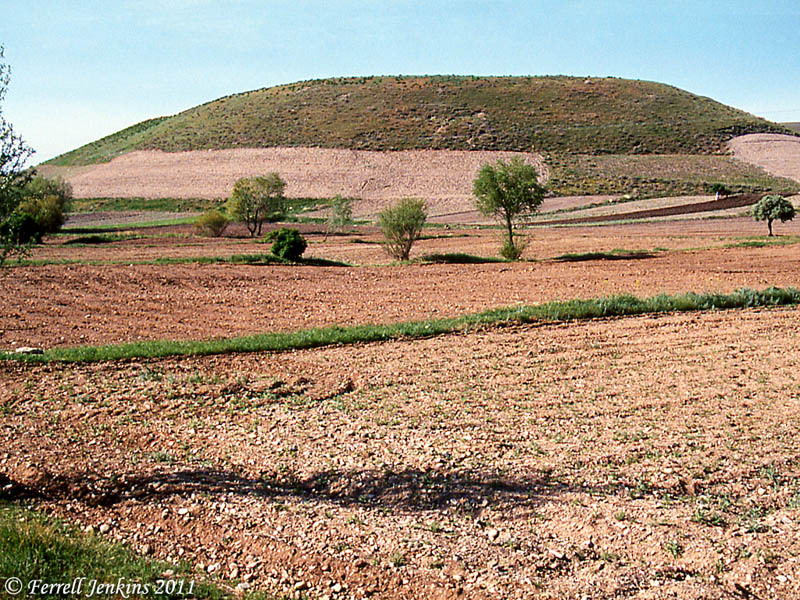 Often we see crops growing on the top of a tell, especially one that has not been excavated. Lystra. 1987 Photo by Ferrell Jenkins. From another year, likely in the 80s, the sower is broadcasting seed. This is a practice that I saw frequently while growing up in the rural South. We rarely see this practice in the modern days of mechanization either in the USA or in the Bible World. Sower scattering seed at Lystra. Photo by Ferrell Jenkins. 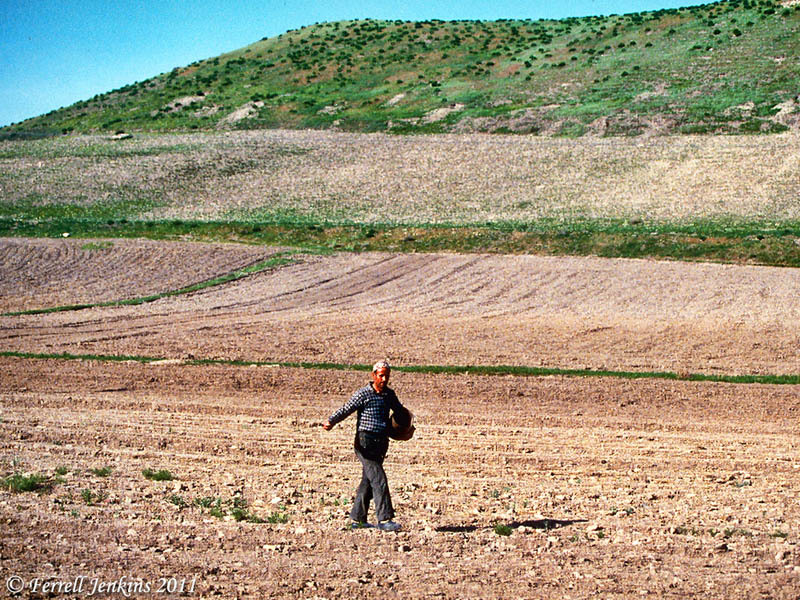 The practice of the sower scattering seed is mentioned several times in the Bible. Notice Isaiah 55:10-11. Notice Paul’s use of the Isaiah text in 2 Corinthians 9:10. We think also of the parables of Jesus. This entry was posted in Bible Lands, Bible Places, Bible Study, Culture, New Testament, Old Testament, Photography, Travel, Turkey and tagged Apostle Paul. Bookmark the permalink. Great photos Ferrell! I remember similar scenes at Laodicea and Colossae. Imagine what one day may be discovered under these mounds.